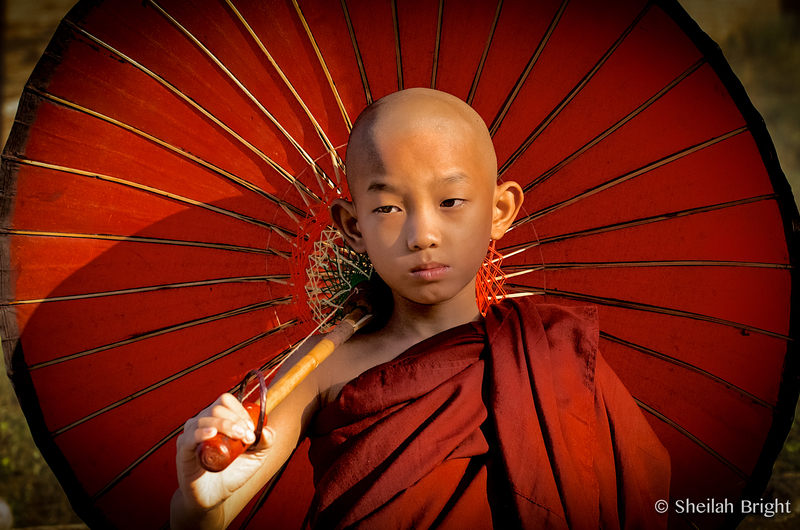 In Myanmar, a monastery student shields the sun with a red umbrella. 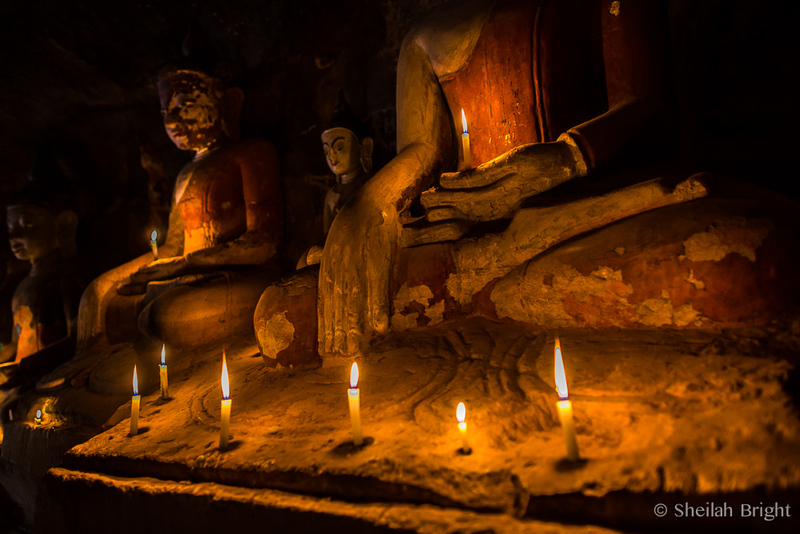 A room with a message at the monastery. 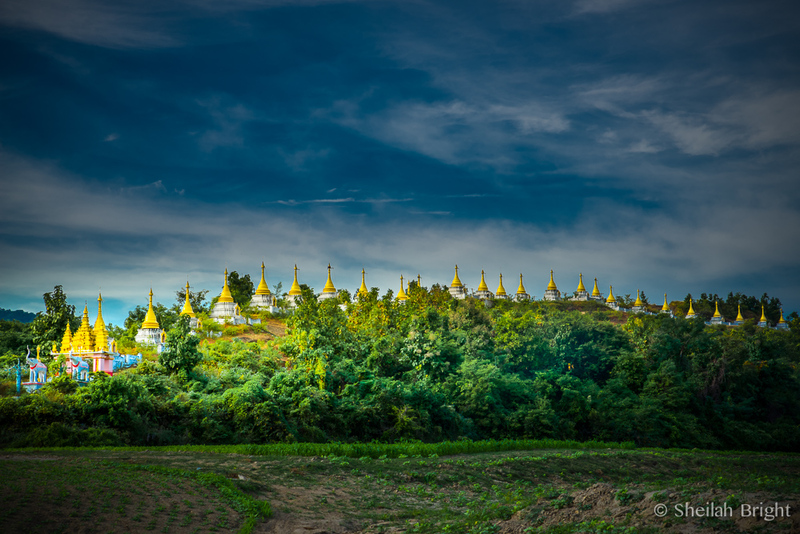 Along the Chindwin River, the 28 golden-topped pagodas of Masate greet the sky and river guests. 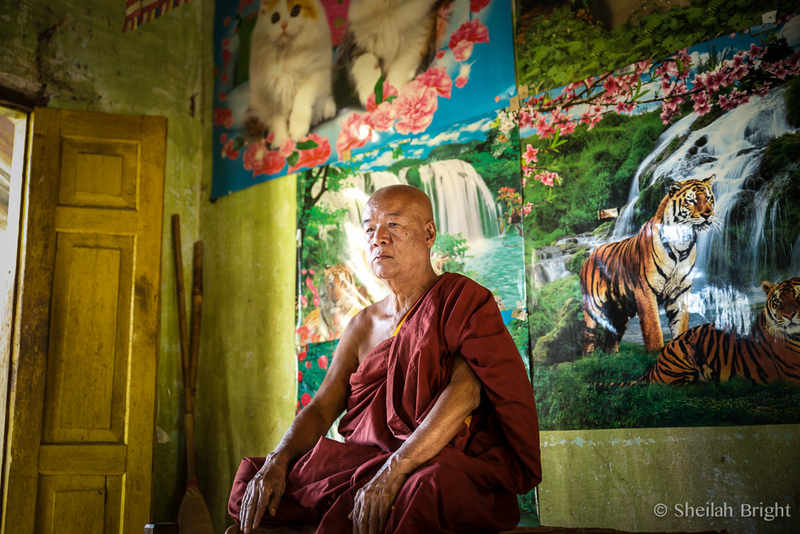 Proud of his feline wall, a monk asks for a portrait. 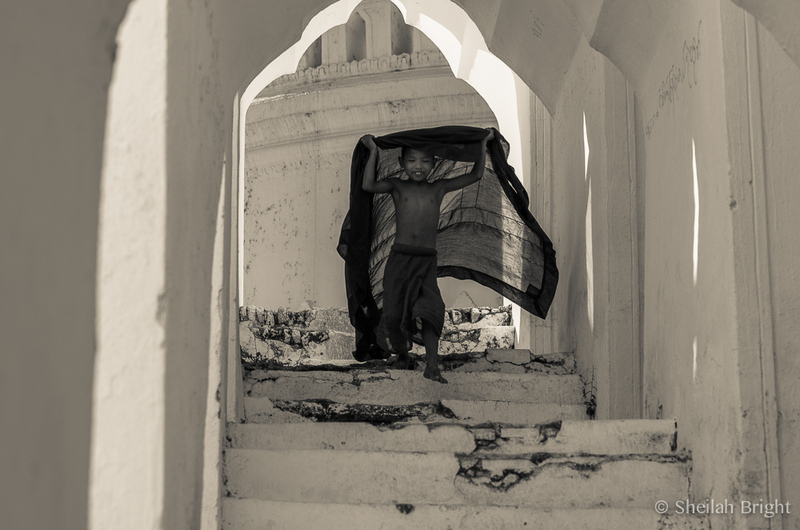 Children play among 16th century ruins of the Inwa kingdom near the Sutaungpyay compound along Myanmar’s Chindwin River. 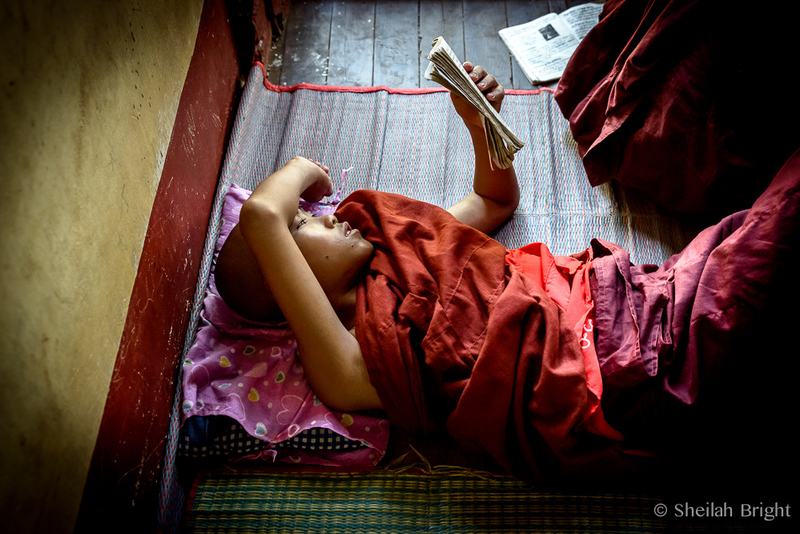 Monastery students tackle require reading but keep a comic book close at hand. 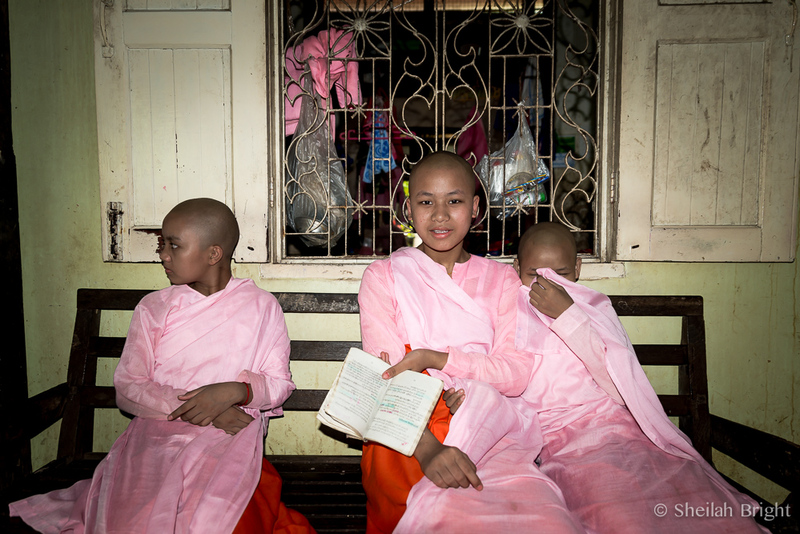 At a nunnery near Mandalay, girls wait for their teacher. 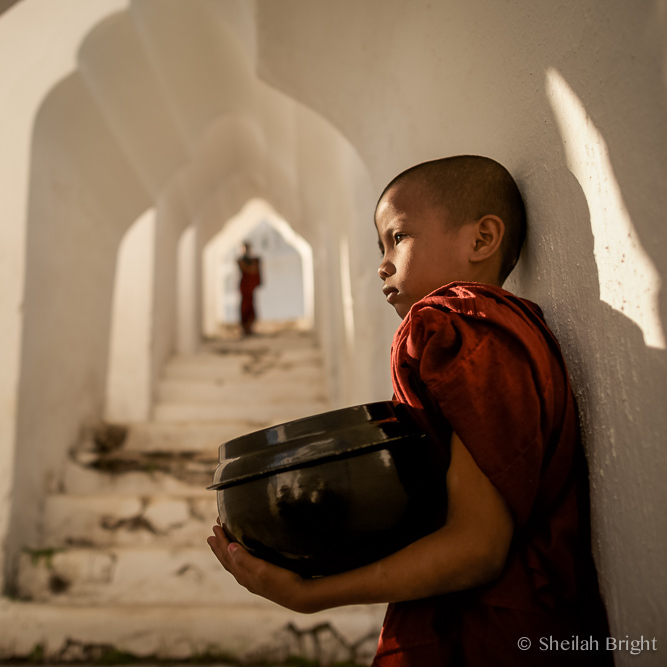 A boy breaks from studies to explore the Mingun temple constructed in 1790 and abandoned before completion after an astronomer declared that the king would die if it were finished. 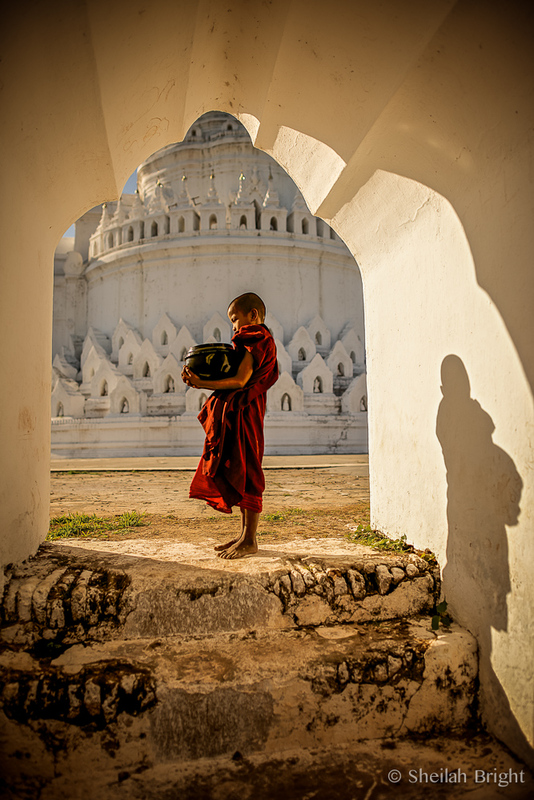 A young boy takes a break against a tree near Mandalay, Myanmar. 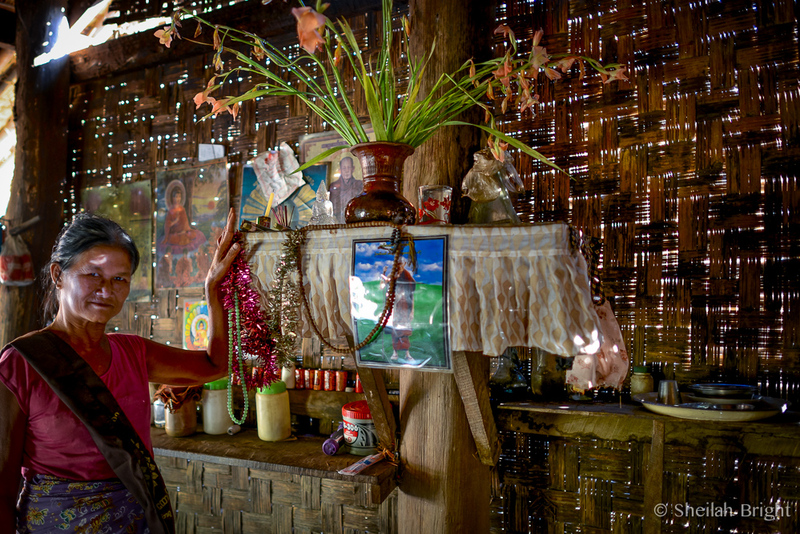 A Burmese woman shows off the shrine in her home. 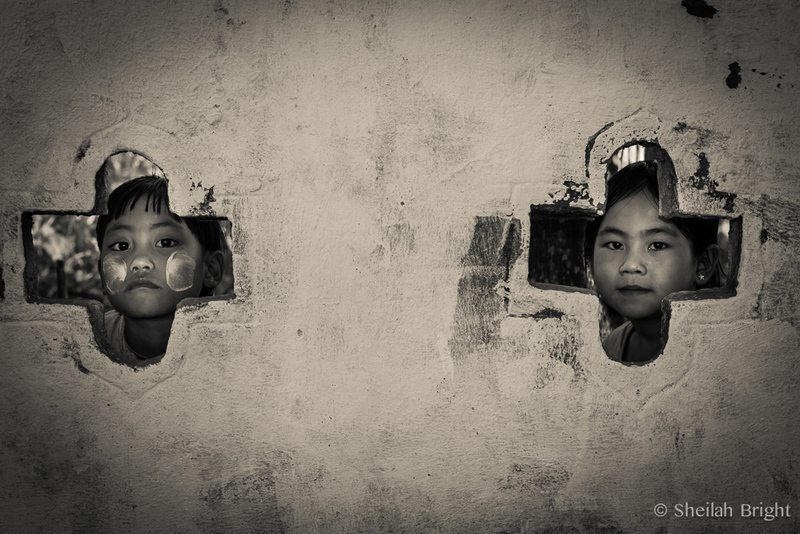 In the Nan Yin village in Myanmar, schoolchildren peak from ancient walls surrounding the monastery. 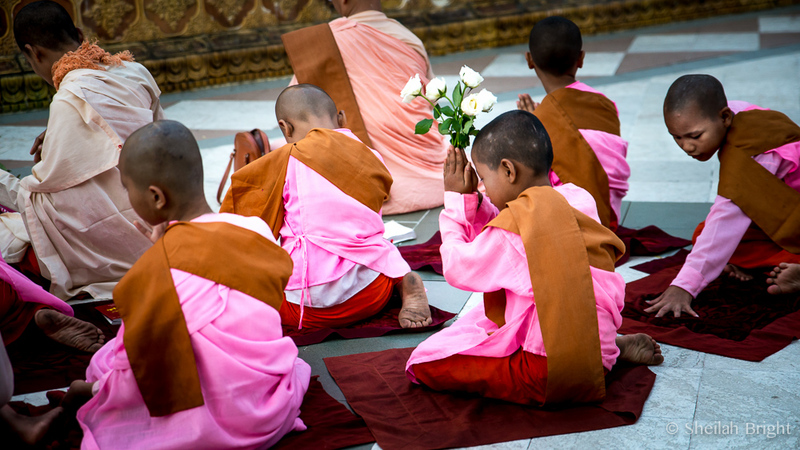 At the Shwedagon Pagoda, a student prays with flowers in hand. 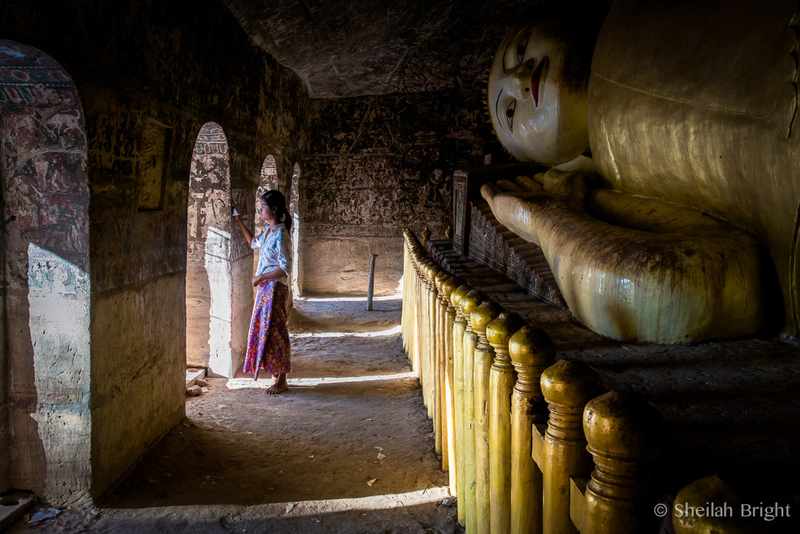 English words mark the walls of a temple in Myanmar. 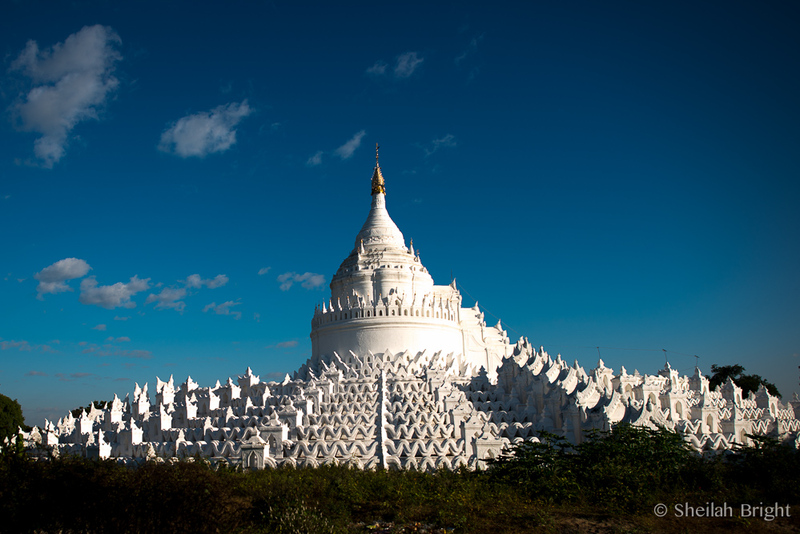 The Hsinbyume Pagoda in Mingun attracts devotees and tourists to its stark beauty. 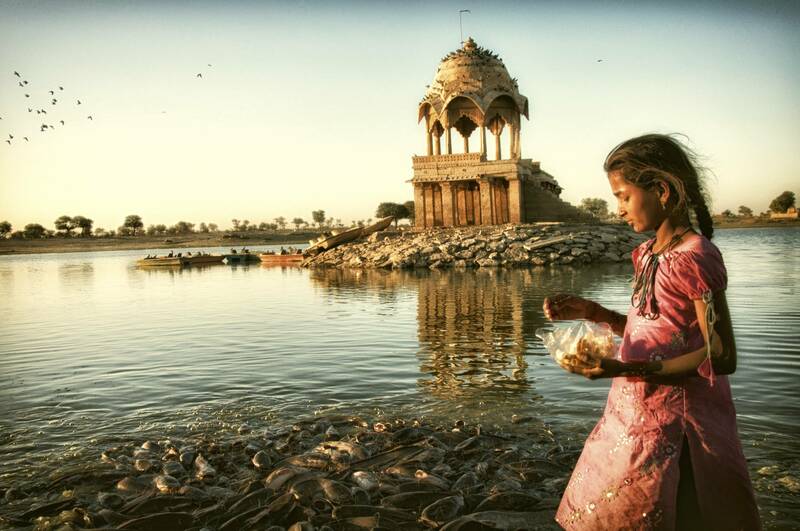 In India, a girl feeds bread to catfish every morning as her first act of goodness for the day. 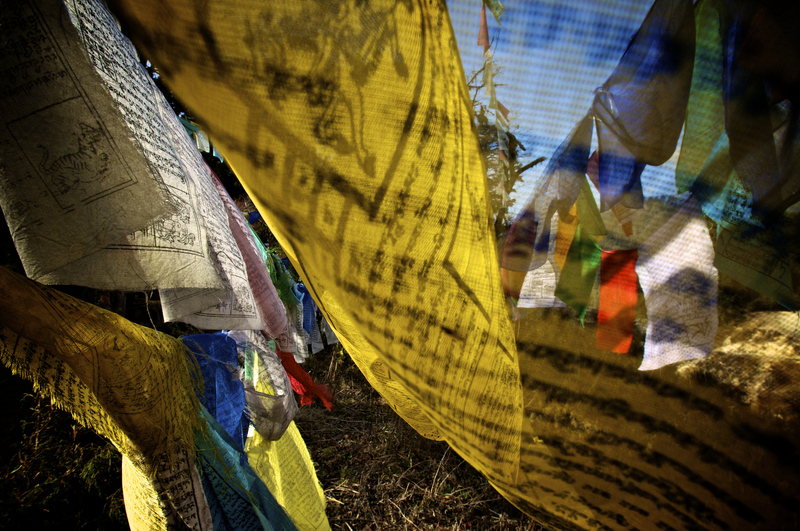 In Bhutan, acts of faith can be found around every corner. 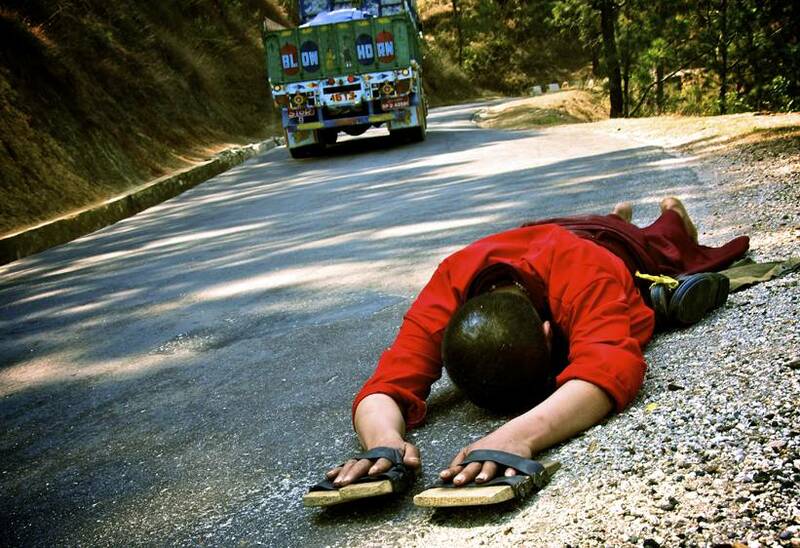 This Bhuddist monk felt called to walk and prostrate along 160 miles of winding road from Paro to Panukha. 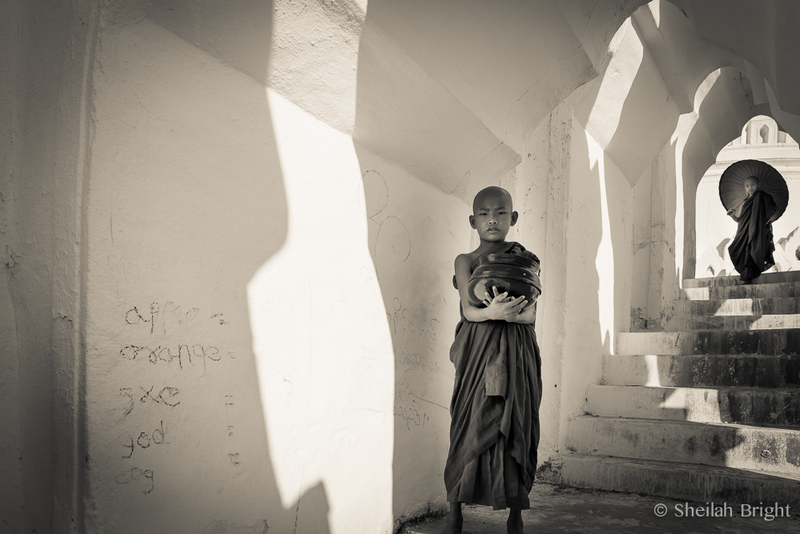 He prostrated 12 hours a day for 30 days. 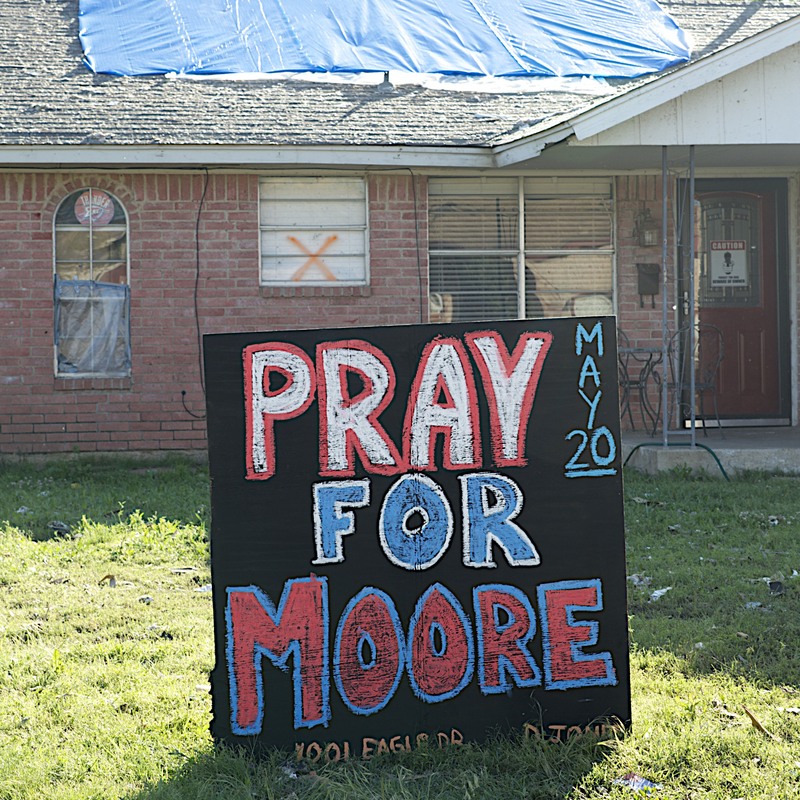 After a 2013 tornado devastated Moore, Oklahoma, signs of faith became visible hope. 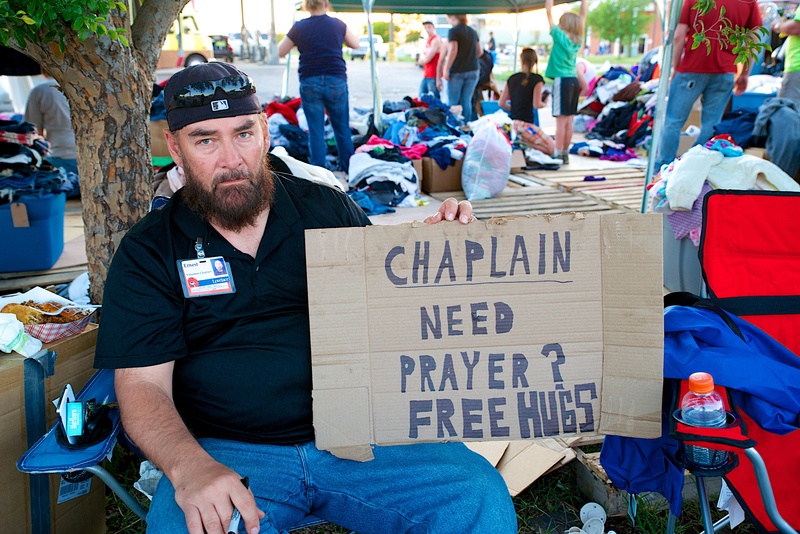 A chaplain works a donation center after a tornado ravaged Moore, Oklahoma, in 2013. 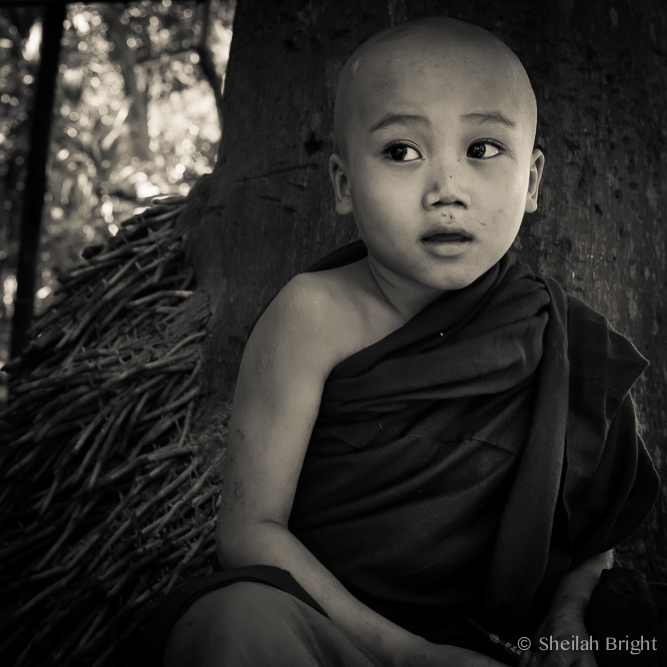 Meet me: Sheilah Bright, a sucker for a story. I've been a journalist for 39 years after first publishing at age 14. Do the math. No, don't. 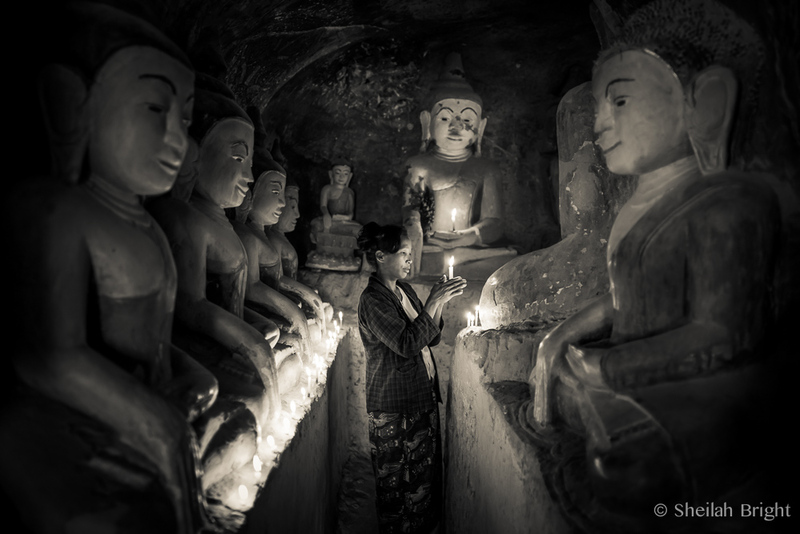 My work has appeared in hundreds of newspapers and magazines. I spent 18 years writing advertising for People and TIME magazine. When I'm not traveling abroad, I bounce along the backroads of Oklahoma searching for some golden story nuggets as a contributing editor for This Land Press and Oklahoma Today.